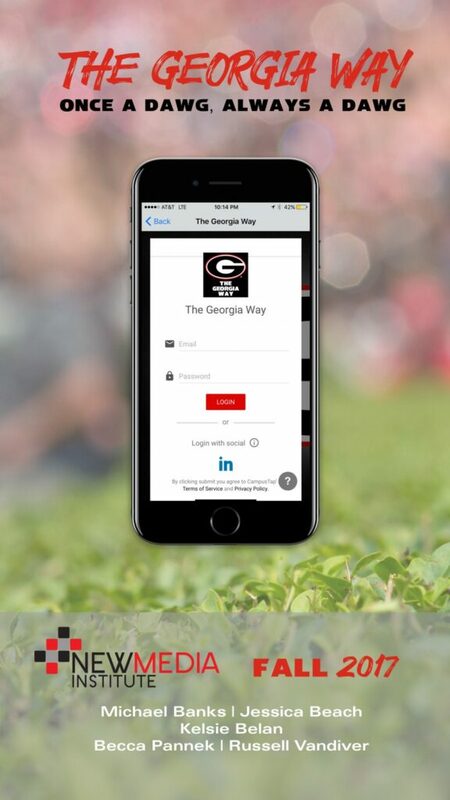 The Georgia Way app is a multipurpose app that allows student-athletes to connect with alumni, access academic resources, and obtain success in their post-athletic careers. The app allows UGA athletes to connect to a variety of professional networks through the Georgia Way Portal, stay up-to-date with the latest blog posts and social calendars for professional networking, and engage with community service, blogging, and leaderboards. The Georgia Way ensures all Dawgs can be successful, no matter where the athletes end up.